Like everything genuine, its inner life guarantees its truth. All works of art created by truthful minds without regard for the work’s conventional exterior remain genuine for all times. 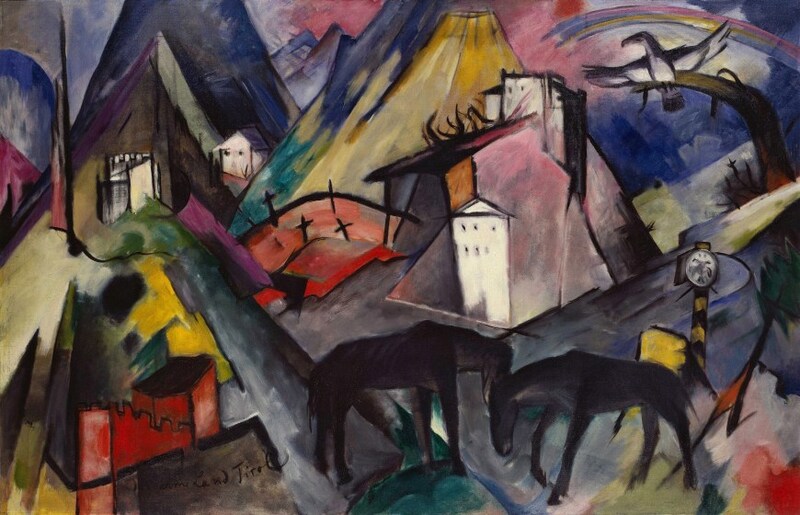 Franz Marc is not one of my favorite artists but that is not to say I am not a fan of his. I like many of his paintings and some do little for me. And that’s okay. But I greatly admire the fact that he created an impressive body of work in a short period of time– he was only 36 years old when he was killed in the Battle of Verdun in World War I in 1916— that has survived and prospered during the last hundred years. 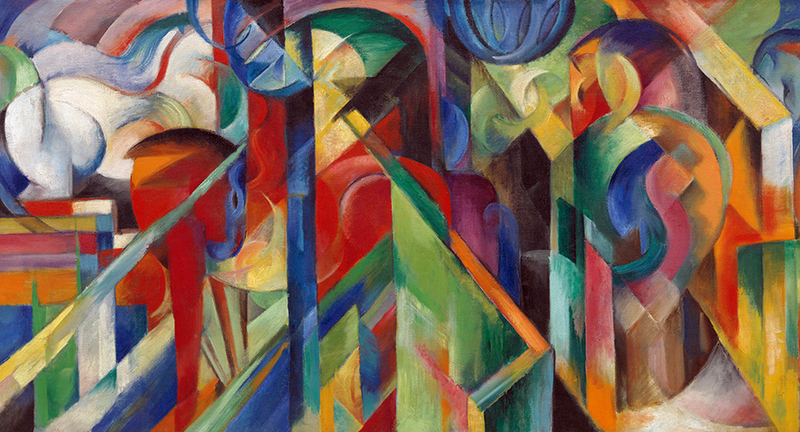 Under Hitler’s Nazi Third Reich, his work was labeled as degenerate art and was subject to destruction. But his work persisted. I also admire the fact that he chose to carve out his own niche, creating work that is instantly identifiable as his. 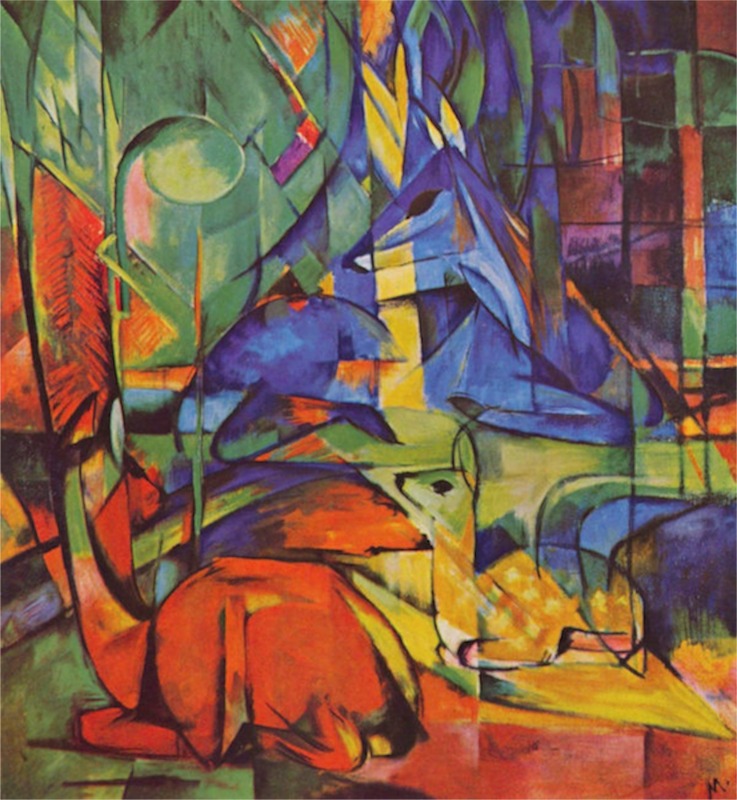 His use of bold primary color, the animal subjects that populated many of his pieces and the use of Cubist elements make his work easy to distinguish when you come across one. Many of you are probably familiar with his famous yellow cow or his blue horses. I also admire and am in agreement with many of his writings about art. We both tend to look at art as having an inner life of its own so long as the artist allows that truth to manifest itself and creates the work with true emotion and feeling. His desire to create work that remains genuine for all time is mine as well. The idea of connecting and communicating with future generations is deeply appealing. You always hope your work speaks beyond time or language or place. 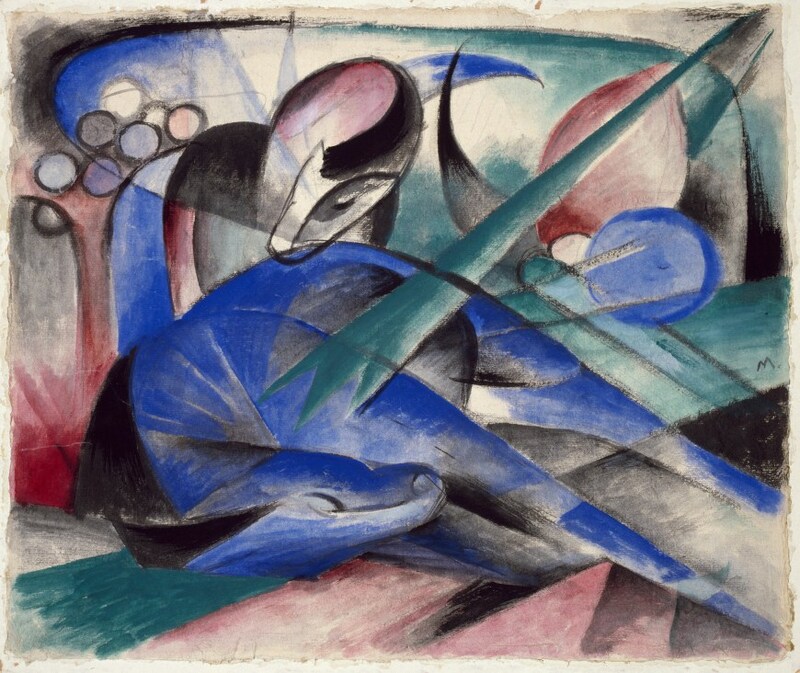 So, while I may not number Franz Marc among my favorite artists, he is nonetheless a great influence on my work.